Where to begin, where to begin? I’ve got so much to tell you about from the past week I’m having trouble organizing my thoughts into possible recognizable blog posts. Should I just start at the beginning and work my way through the week? That seems what a logical, sensible type of blogger would do. I’m not often known for my logic and sensibilities however. I could try to come up with a theme for each post – flowers, birds, etc – but I doubt I could be that organized. I had this idea to try to create a very cool slideshow with all the music that has been playing through my head since Monday. Even if I could do it, I imagine I wouldn’t be able to share it easily on this blog. And so began my own game of “Lyrics for any occasion” for the duration of our cruise. I wrote the songs down as they popped into my head on a piece of Carnival notepad paper, sure that I could work these songs into my blog posts to help give you the full picture of where my head was at for the week. I don’t, however, wish to jam up your browsers with piles of YouTube videos when you try to read my blog. Like I said, I’m still figuring out just how to present my posts. Maybe I’ll pop a few particularly apropos videos at the end of my posts and scatter a few lines of lyrics throughout. Hmm, my wordcount reads 341 at this point and I still haven’t shared a single picture. I should remedy that. 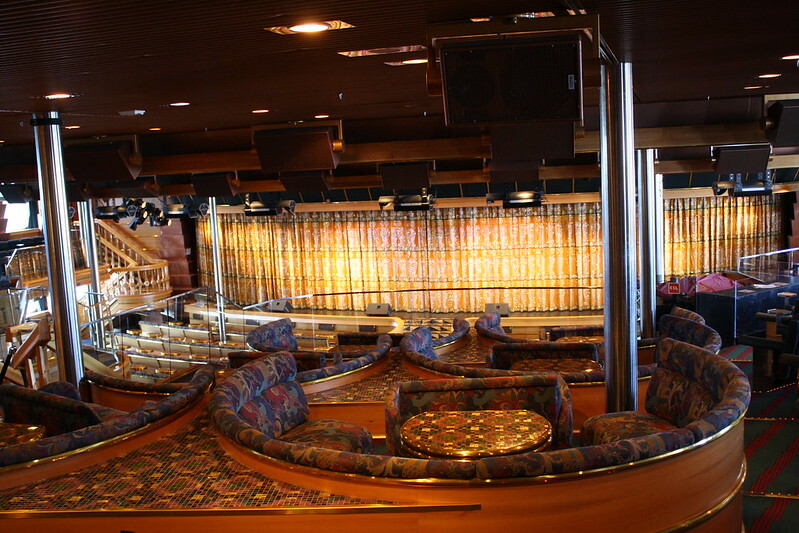 How about a look around our ship, the Carnival Imagination? That seems like as good a place as any to get started. It was a fabulous week of relaxing, eating but not cooking, traveling but not driving, exploring and discovering. I’ve got much more to share with you, so I hope you’ll be back to read more during the week. They give you a deck map, but I still got lost! Reminds me of Las Vegas – on water. But much more comfortable than the real Vegas! It didn’t really have a Vegas feel to it, I didn’t think. But I’ve never been to Vegas, so I guess I couldn’t say! The photos are wonderful ! 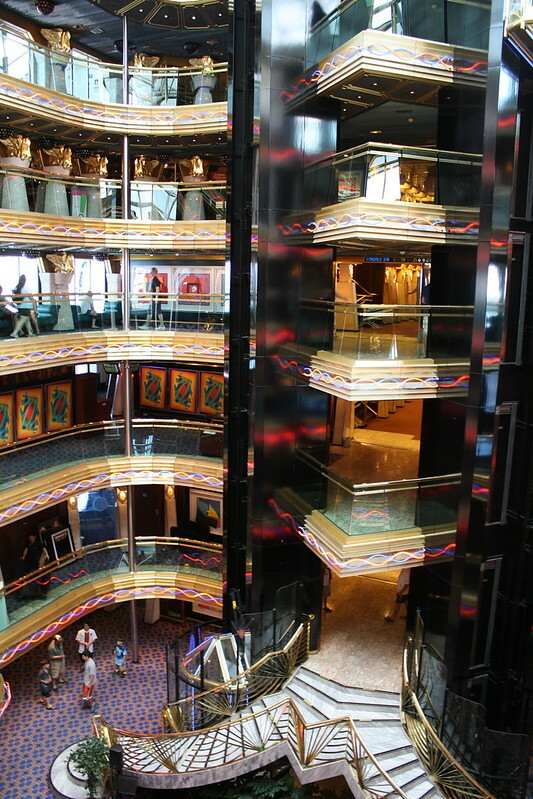 They really give a sense of the size of the ship and how opulently it is appointed. Did you go down the water slide ? Not sure if I would or not … OK … decided … YES ! I’d do it … probably. Looks like you are already off to a great start! 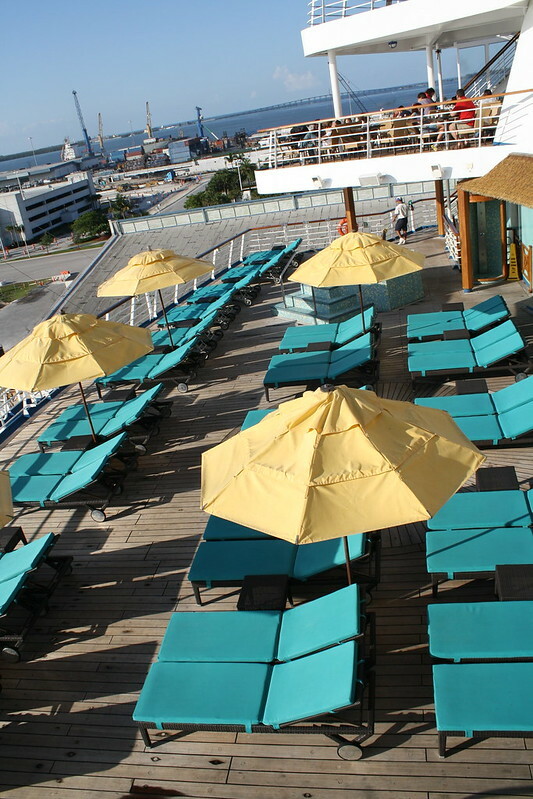 I would have spent MANY an hour on the “Serenity Deck” with one of those yummy-looking concoctions in my hand. Looking forward to seeing and hearing all about your cruising adventure! Thanks Tracy. 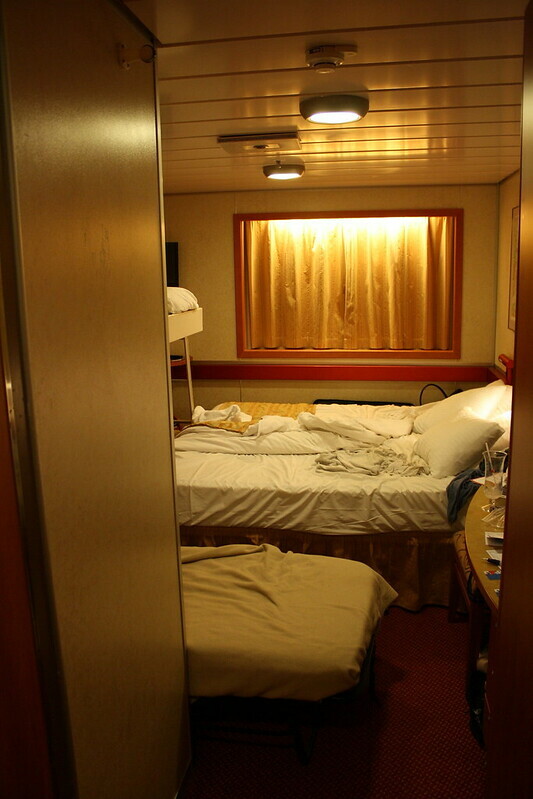 I did get turned around on the ship a few times, but it ended up being easy enough to navigate. I’ve got so many photos I’d like to share, and did a lot of editing yesterday, but I still think I have too many for the blog post about our first stop. So difficult to choose! I’ve not been on a cruise and really don’t have the desire unless it’s the one in Alaska. As you post your photos I’ll see if you can change my mind. So glad you had a good time. You looked like a sister and not a mother in the photos on Facebook. Aw, Becky, how sweet of you to say that! 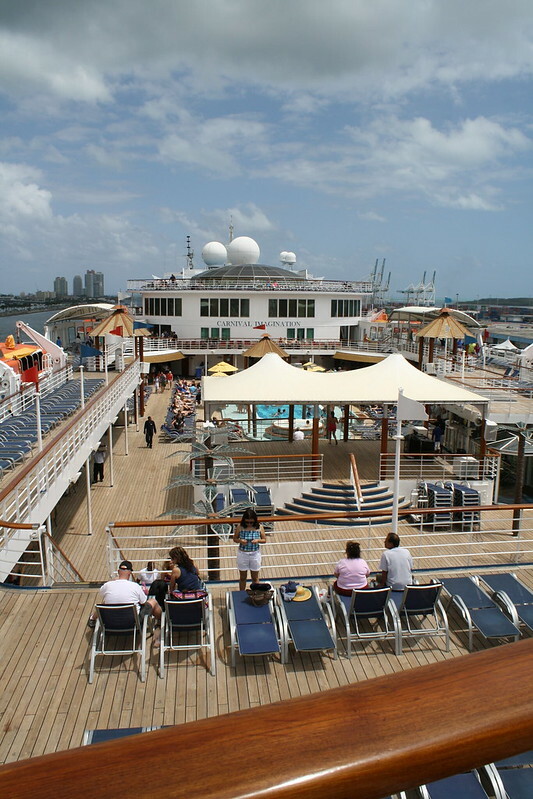 I think what I love best about a cruise is the simplicity. Everything you need in one place, no driving worries, no bored children, and the opportunity to visit several places in one trip. 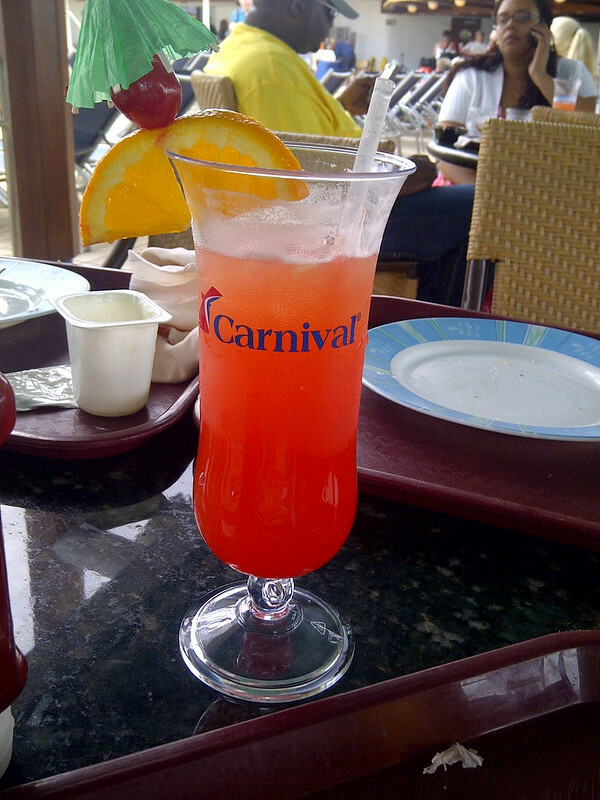 My husband and I were on the Carnival Imagination April 20th – 23rd…just got home a few hours ago. There was a Hispanic song they kept playing that I would love to know the name of, and while I was googling various things trying to find it, your blog popped up. I don’t suppose you had Art as your head waiter in the dining room? Bald guy with glasses…he was great! Anyhoo… We had a great time too, and that song was stuck in my head but I can’t seem to find it anywhere, especially since idk any of the words! Arrrggg! 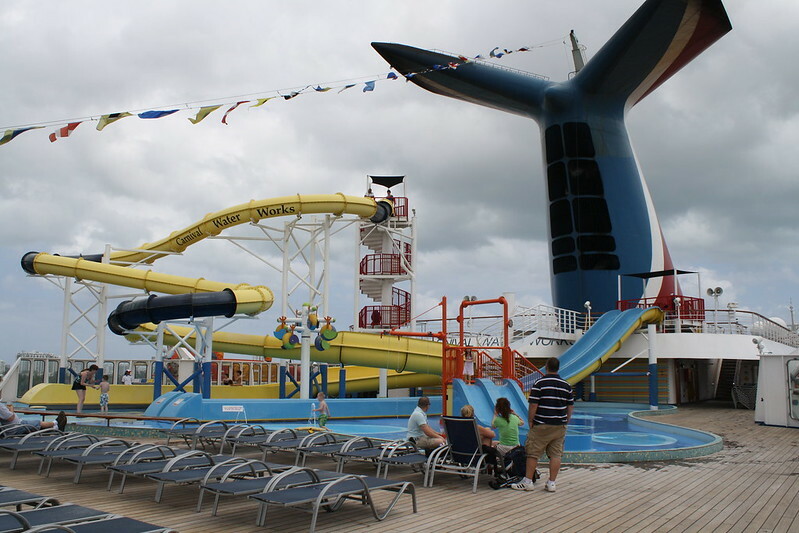 Every time it came on everyone went crazy on board and started dancing wherever they were. *sigh* ease shoot me an e-mail at funkygnarly@hotmail.com if you by som random chance know what I’m talking about. Thanks! I got to the first cruise post last. Really enjoyed your theme of sharing the Lyrics of each of your posts. 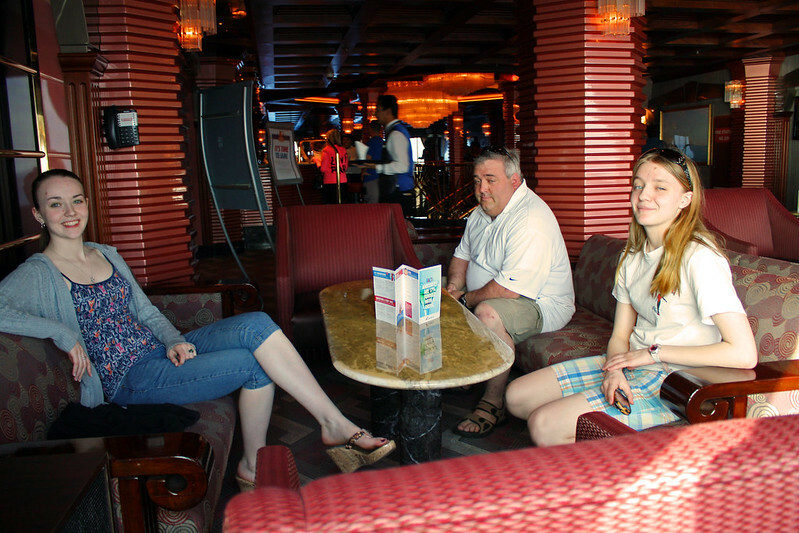 Sounds like you had a wonderful time enjoying the ship, ports of call and, most of all, your family. A Bon Voyage!